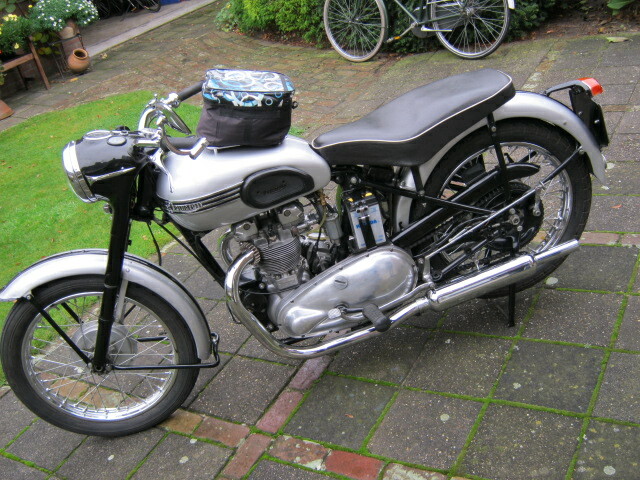 Well restored and rebuilt T100 (so all alluminium engine) from 1953. Runs and rides well, last owner used it for longer trips. Fine and rather rare motorcycle. 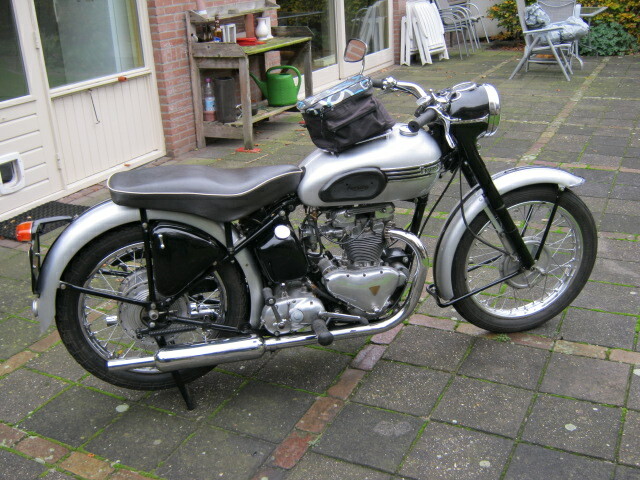 Paint of frontmudguard and nacelle could have been done a little better, for the rest a very well looking bike.Dutch registration and matching numbers.